I brought back one Boogie from Bentley Music. Lamb Of God - Willie Adler and Mark Morton are using Mark V, even John Petrucci now. Here is my Mesa/Boogie Mark V. I really love this amp. The big footswitch is on the floor. either 1 group of 5-Band Sliders or 3 channel specific, variable PRESET DEPTH contour controls. 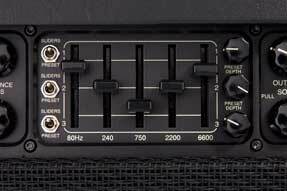 The PRESET DEPTH contour control is one of the signature features of Mark V.
Mark V™ = 9 amps in ONE. The "Tweed" mode is my favourite clean mode, unfortunately the reverb effect is slight weaker on this mode. According to MESA guys, the "Fat" mode is taken from LoneStar® clean channel. I love the "Mark I" mode. It sounds just like Carlos Santana kind of fat, thick and juicy lead tone. Sustain for days ! "Edge" and "Crunch" modes are both British-style voiced. "Mark IIC+" mode is dedicated to singing sweet sound. "Mark IV" mode is much tighter and having more gain than "Mark IIC+" mode. but I still like to use "Mark IV mode" on the channel 3. 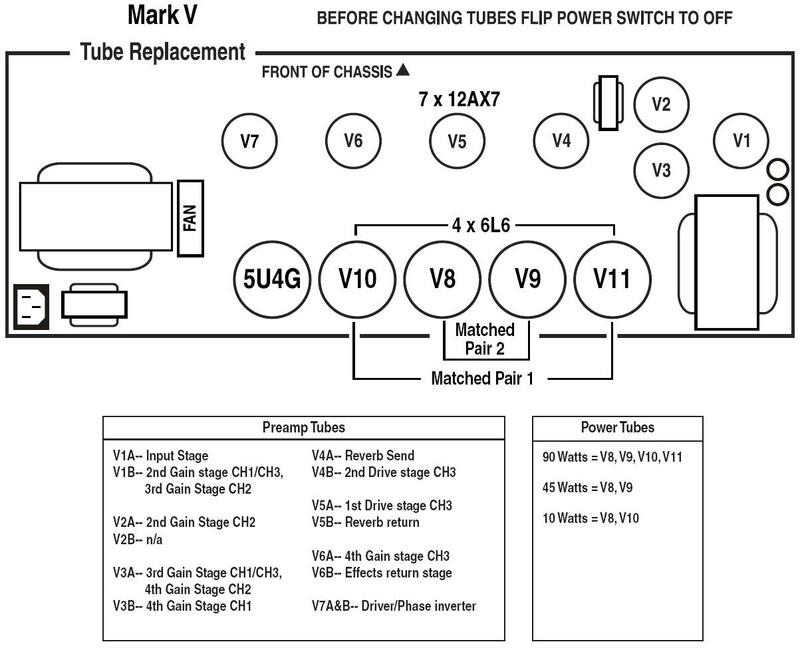 Doug West (a.k.a "Tone Boy") did write a chapter how to setup Mark V sound like Mark IIC+ and Mark IV in Mark V user manual. As a Mark V owner, I NEVER think it could sound exactly like Mark I, Mark IIC+ or even Mark IV. Even Mesa reissued Mark I before and I believe it only could sound close to the original, because some of the electronic parts or material which had been used in that time might be discontinued or couldn't be replicated anymore. 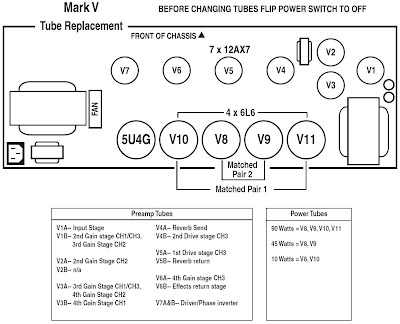 But Mark V has more tone functions than any other Mark series models ever. 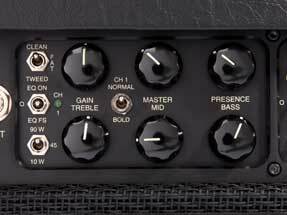 It has three fully independent channels with 9 modes, Tube/Diode rectifiers selection which is famous since Rectifier series and Mark I, Mark IIC+ or Mark IV don't even have a tube rectifier, Multi-Watt™ from Class AB Push-Pull circuit to ClassA Single-Ended mojo, SOLO volume boost control and the PRESET DEPTH controls. 4 tubes running in Mesa’s legendary, patented Simul-Class Power that blends the best of Class A and Class A/B simultaneously to produce 90 Watts of pure tonal magic. 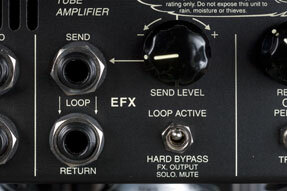 The Accutronics spring reverb tank is embedded in the middle of bottom. The technician, Dalmacio signed my Mark V. He has been with the Mesa/Boogie for over 10 years. 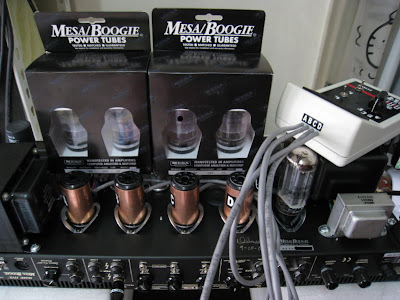 Seven 12Ax7 preamp tubes, four 6L6GC(or EL34) power tubes and one 5U4G rectifier tube from Mark V.
One of the Mesa/Boogie STR-440 tube(Ruby Chinese) died within one week. Bentley Music sent me the new replacement tubes. Thank you, Bentley Music. My Mark V bias readings (by using Weber Bias Rite). There are really cold bias setting in 6L6 mode. 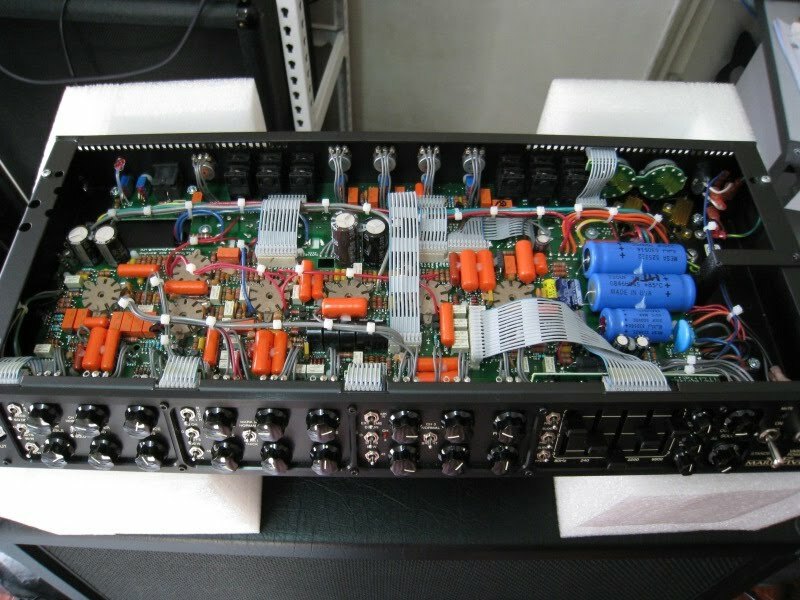 Tubes will be run much hotter in EL34 mode. Mark V internal circuit pictures. The masterpiece from Randall Smith. Happy Family - Engl Invader, Diezel Herbert and Mesa/Boogie Mark V.
Mark V gives me crunchy, dry, super tight and fast picking response.